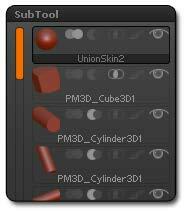 To remesh one or more SubTools, go to the Tool > SubTool menu and make visible all SubTools which need to be remeshed. Invisible/hidden SubTools won’t be used for this operation. In the Remesh All section, change the options according to your needs and press the Remesh All button to generate a new SubTool. This new SubTool will be appended to your existing model. To create a large amount of variation for your remeshing of models and create the base mesh that you need, you will by default combine all SubTools to create the new mesh. You can also subtract the Subtools of your choice, or request the computing of an intersection. 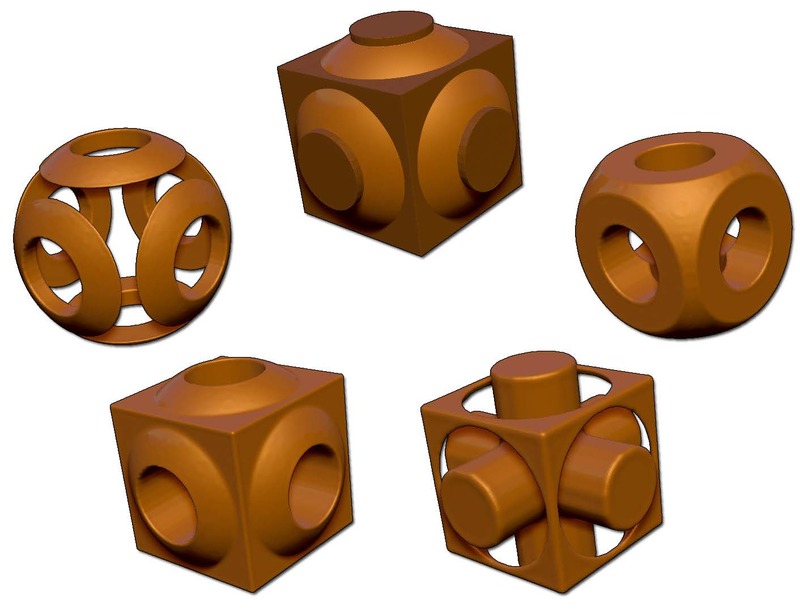 ZBrush includes these three Boolean operators for use when generating a remesh. The generated model will be computed from the top SubTool to the bottom one, as listed in the SubTool menu. To activate or change an operator, click on one of the three operators icons in the SubTool selector: Add (default), Subtract or Intersection. These operators can be mixed with the symmetry option of the activated SubTool before launching the Remeshing function.